Sure, garlic has the power to give you potent breath, but it is completely worth it. A part of the onion family, the delicious allium has the aromatic power to strongly flavor a dish. 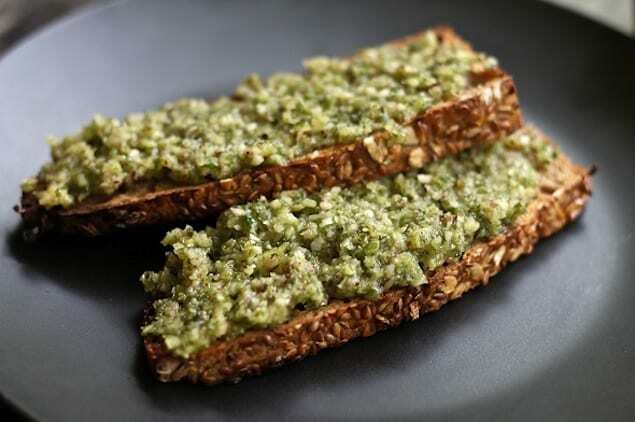 Try these garlicky recipes for a delicious flavor and the added benefit of breath that will keep the vampires away. Sure, garlic has the power to give you potent breath, but it is completely worth it. A part of the onion family, the delicious allium has the aromatic power to strongly flavor a dish. With a long growing season, garlic has been used in many cultures for cooking and medicinal purposed for centuries. 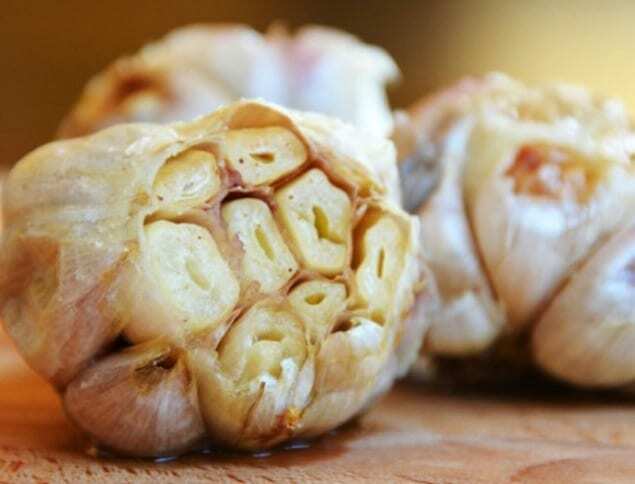 From old wive’s tales as the cure for the common cold to monitored trials to improve blood and cardiovascular health, garlic has been toted as the cure-all for a variety of ailments. 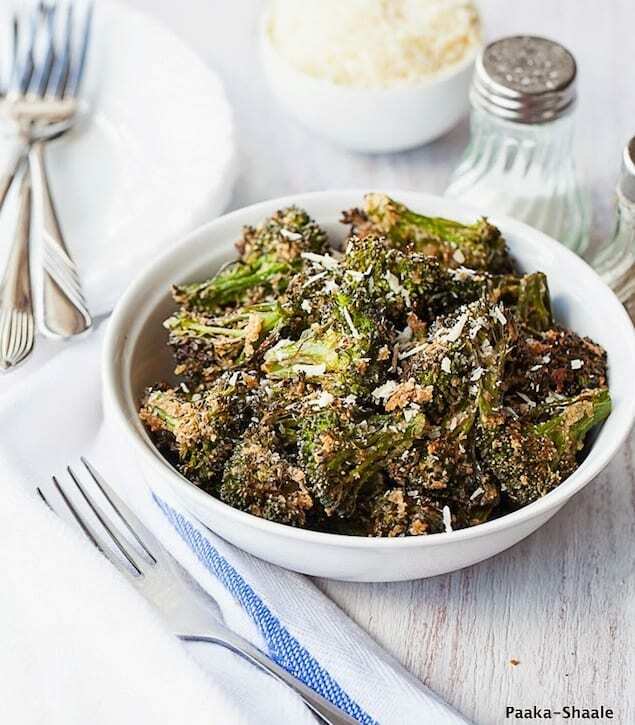 Try these garlicky recipes for a delicious flavor and the added benefit of breath that will keep the vampires away. 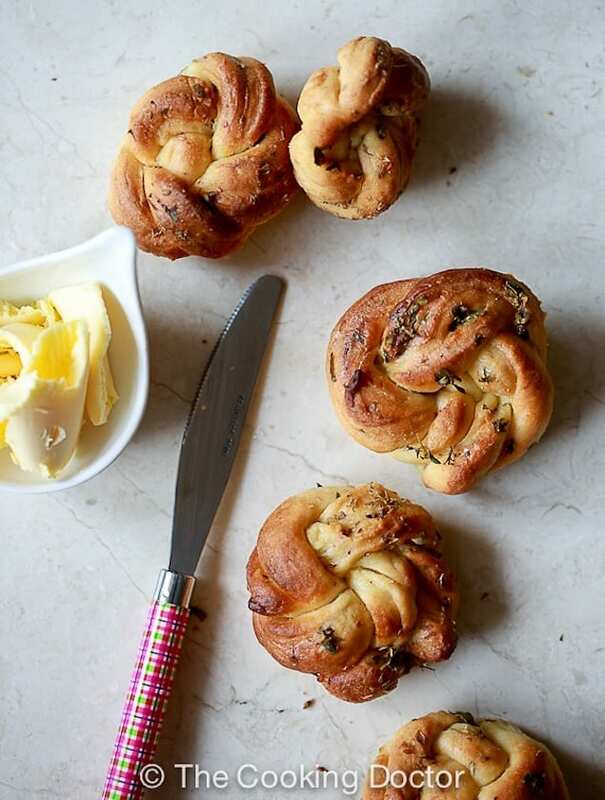 Beautiful to look at and twisted with minced garlic cloves, these knots are addictive, full of flavour and so easy to make. Even for novice bread baker, this recipe will make you dance with joy. Get the recipe. 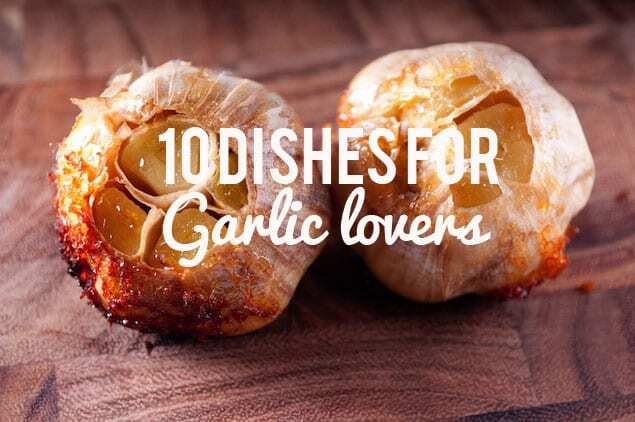 Get back to the basics and learn how to roast garlic. Roasted garlic is an easy way to take recipes for things like tomato sauce up a notch — or you can just smear it on bread for a delicious snack. Get the recipe. 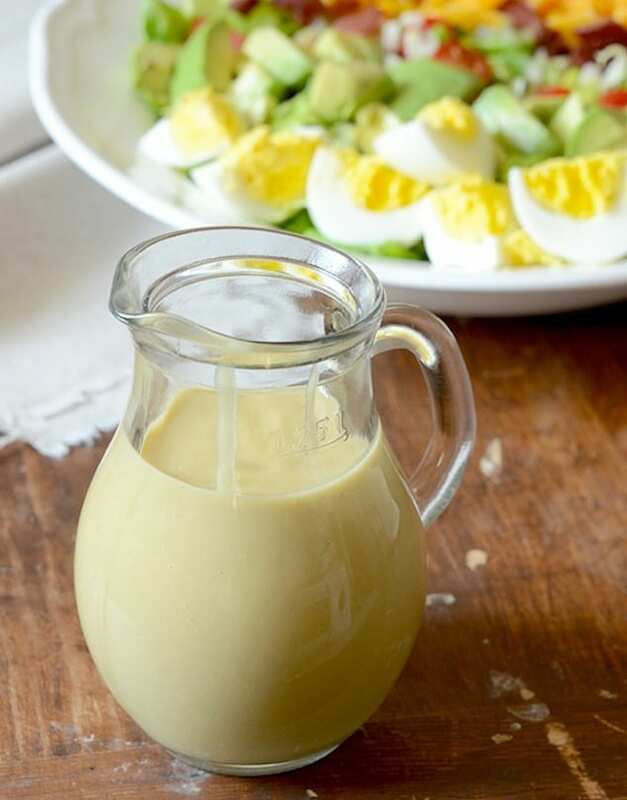 A smooth, nutty garlic flavor makes this dressing perfect on any salad or as an accompanying sauce. Try it as a vegetable dip, too. Get the recipe. Tender, green florets, tossed in olive oil (or butter), and garlic and baked till brown and crisp and then sprinkled with some cheese. What’s not to love? Add more garlic based on your flavor preference. Get the recipe. Prevent a cold and get a buzz while you drink your daily dose of garlic. 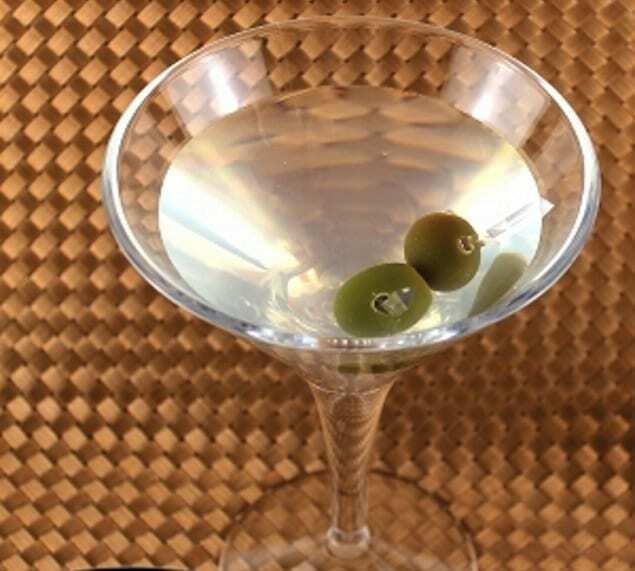 A subtly garlic flavor from garlic-olive juice and the garlic stuffed olives makes this gin drink a pleasant surprise. Get the recipe. Similar to the flavor of the clove, but a bit more mild, the scape is a wonderful way to dabble in the world of garlic. In this recipe, scapes are combined with a small amount of basil to make a spicy, summery pesto that’s good in pasta or on toast with tomatoes and cheese. Scapes can even be thrown on the grill. Get the recipe. 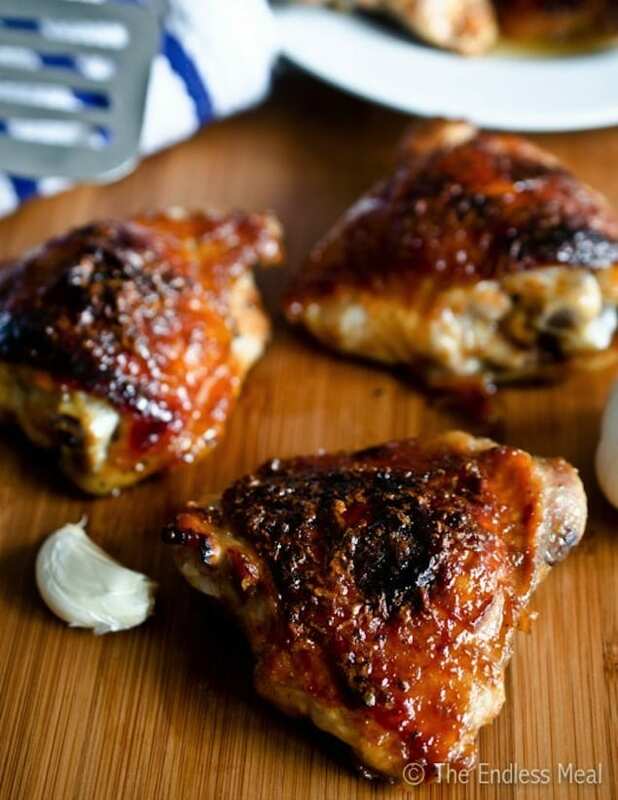 This chicken will make you want to lick your fingers clean. Sweet and garlicky with a honey sauce, this recipe has plenty of flavor to go around. Get the recipe. Crazy strong, creamy garlic sauce that is so addictive. Enjoy it with grilled vegetables. 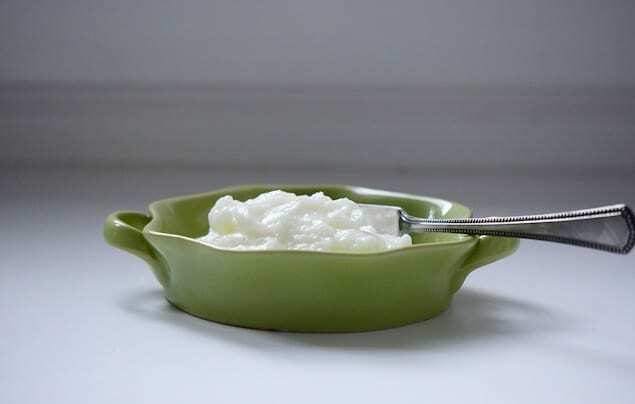 Use a food processor to create a smooth emulsion. Use this recipe as a guide in case the mixture breaks. Get the recipe. After roasting the garlic becomes so much sweeter. 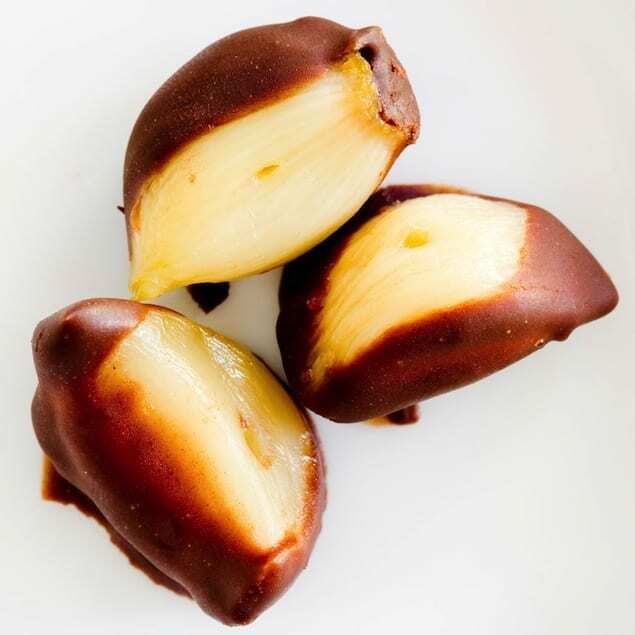 Pair with chocolate, it will remind you of the chocolate and chili combo, only better. Get the recipe. Add some “wow” to your dessert. As garlic is cooked and roasted, it takes on sweet, musky undertones. 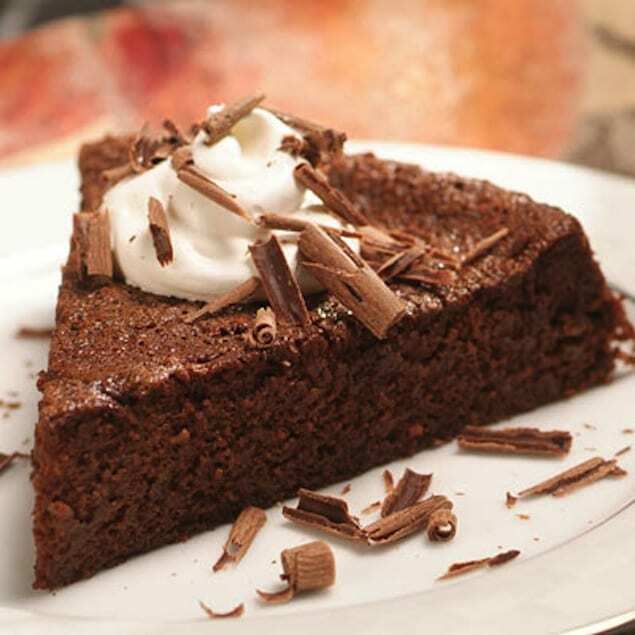 Those flavors make it perfect for a rich chocolate cake. Get the recipe.